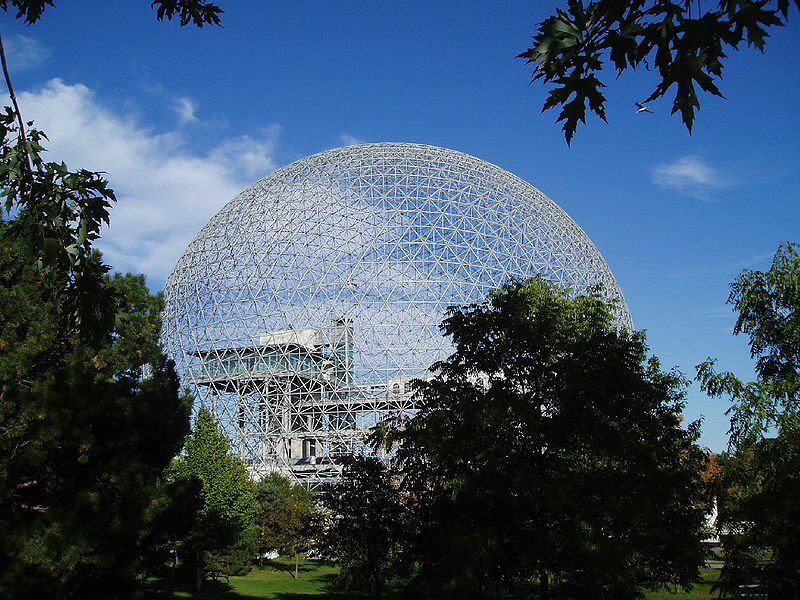 In this post I present Buckminster Fuller’s Montreal Biosphère in Expo 1967, Canada and Zaha Hadid’s mixed-use building in Budapest,Hungary. 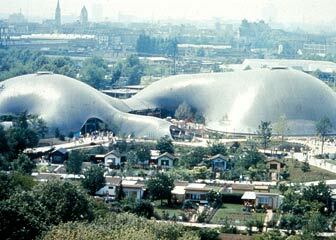 Zaha Hadid is today the most widely publicized and influential architect by Google test. 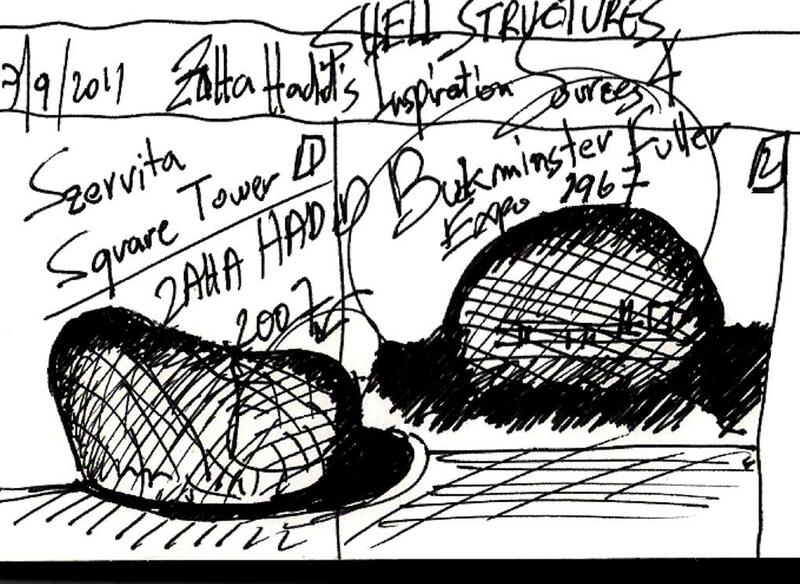 It’s not the formal similarity, why I pose the two projects, and I don’t have the intention to insinuate that Zaha Hadid copied from another. My goal is to encourage the developing of “Codex rules“ for a new architectural planning process that I call Conscious Inspiration. 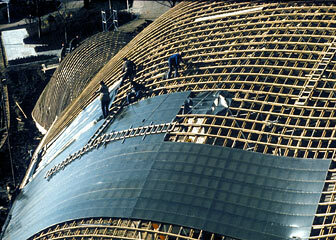 Thin-shell structures are light weight constructions using shell elements. These elements are typically curved and are assembled to large structures. Typical applications are fuselages of aeroplanes, boat hulls and roof structures in some buildings. A thin shell is defined as a shell with a thickness which is small compared to its other dimensions and in which deformations are not large compared to thickness. A primary difference between a shell structure and a plate structure is that, in the unstressed state, the shell structure has curvature as opposed to plates structures which are flat. 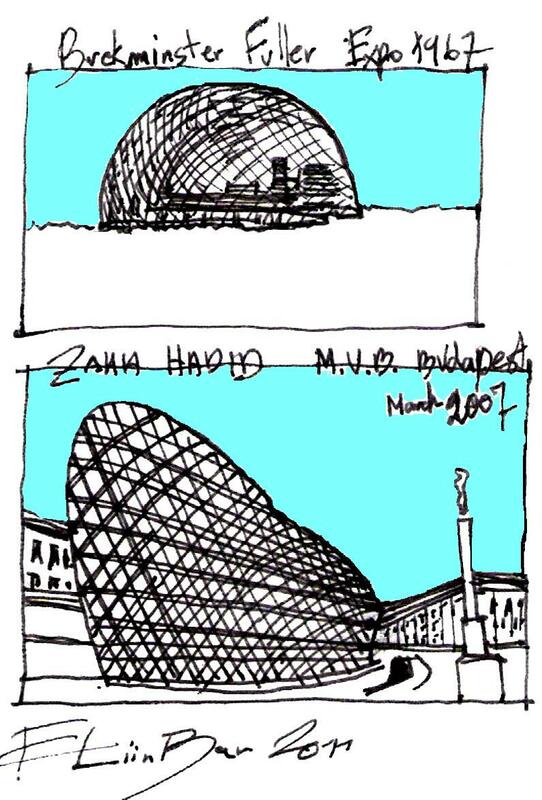 Zaha Hadid is inspired by the Budapest’s rich architectural heritage and Thin-shell structures. 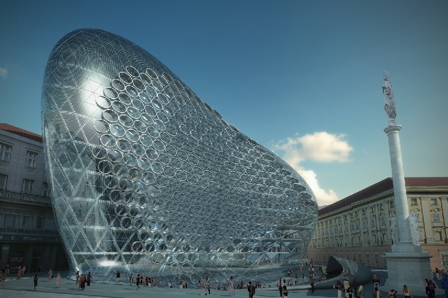 How it affect Zaha Hadid’s design? Are ” Thin-shell structures” her Inspiration Sources?